We are pleased to announce the third Outlands commission in partnership with Supersonic Festival comes to Vivid Projects Friday 9th November 2018! 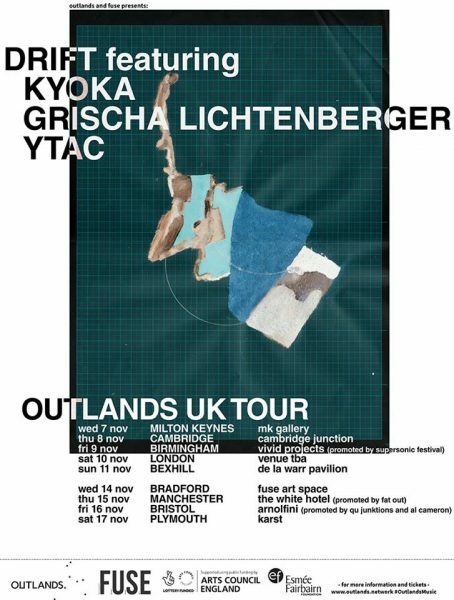 Fusing heavy electronics, hypno-chaotic grooves and pristine frequency control within a unique, audio-visual environment, #DRIFT ft. #KYOKA / GRISCHA LICHTENBERGER / #YTAC sets forth an intoxicating, hyper-sensory experience. Part club, part installation, part immersive environment, DRIFT takes shape within a specially constructed space, where motion sensors and microphones monitor the room, the crowd and the performers. The observations are fed to a central ‘brain’, which responds by projecting fevered machine-dreams back onto people and walls – the audience and the performance influence the visuals; feedback ensues, chaos builds. Inside this generated environment, artists Kyoka and Grischa Lichtenberger from acclaimed German electronic music record label Raster will diffuse their visions of experimental dancefloors. Tour support comes from YTAC a key figure of the shady EIS HAUS collective and the newest signing to Glasgow record label Numbers. DRIFT technologists wetgenes will be facilitating workshops in the weeks leading up to the UK Tour, shining a light on the artistic and technological processes within the live performance. More info to follow. DRIFT is an immersive environment developed in collaboration by feral games developers and digital art technologists wetgenes and Fuse Art Space. Now in its second build version following an original commission by the British Science Festival in 2014, the system is housed within a specially constructed reflective enclosure inside which motion sensors and mics monitor the room, the crowd, the performers, feeding audio and visual observations to an array of processors. The array converts the data to graphics, projecting the output back onto the walls and people. Thus blurring the boundaries between the conventional stage and audience thresholds. Berlin-based composer/producer Kyoka grew up in Japan, learning piano, flute and shamisen [a three-stringed traditional Japanese instrument] during her childhood and is known for her direct, chaotic musical approach and heavy-rough sound, resulting in a broken pop-beat with experimental yet danceable rhythms. Whilst recording radio shows to cassette, she became attracted by the possibilities of manipulating tape and soon began to use the tape recorder as her toy, cutting, editing and producing her first rough sounds. In 1999, she started to explore the potential of synths/computers, and in 2008, her first mini-album “ufunfunfufu” was released on the onpa))))) label, followed by »2ufunfunfufu« in 2009 and »3ufunfunfufu« as an exclusively digital release. She joined the raster-noton stable in 2012, and has progressed to become one of the most exciting, individual and original artists on the label. Grischa Lichtenberger is an electronic music producer, visual and installation artist living in Berlin. Raised on a remote farm near Bielefeld, Grischa’s aesthetic developed from surveying the landscape – not only as a picturesque recreational facility, but as an interaction between the traces of history and the present surroundings. The aggressive tone in his sound design is countered by an emotional depth of the music which observes the introspective moods on the dancefloor and unsettling contemplations in an intimate listening situation. Tumbling between funky, highly energetic beats and trembling melodies, an almost tactile honesty reaches out to the individual listener. 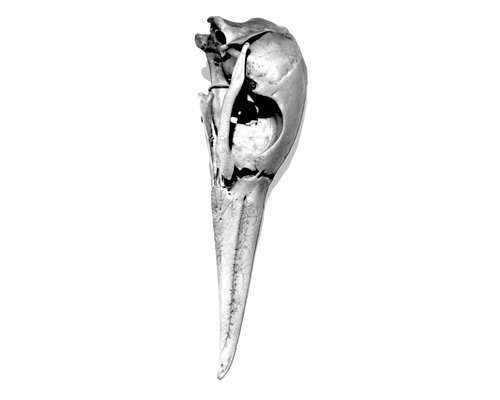 YTAC is the incendiary club electronics project of James Birchall, aka Rough Fields. His first bass-heavy percussion experiments appeared on the Bomb Shop label in 2010; by 2016 YTAC’s rave-centric workouts were being launched at high altitude EIS HAUS parties along the mountainous France/Spain border, and formed the first releases on the EIS HAUS label. Raster is a platform and international network for progressive electronic music that overlaps the border areas of pop, art and science. One half of former German electronic music record label »raster-noton« established in 1999, Raster brings artists Grischa Lichtenberger and Kyoka from their roster to DRIFT.